In times past, houses were closed up all winter long. To stay warm, of course, fire was used. As such, the inside of the house became covered with ash and dust. Come springtime, households needed to open up and clear aaaallllll that out. Thank goodness that’s not what spring cleaning means today. Though there still is some truth to opening up our houses to fresh air after a long stretch of cold. Instead, most of us think of spring and freshness and want to freshen up our own living spaces. Of course, as most of you now know, involved cleaning jobs get much harder with little ones around. And your focus has likely shifted. 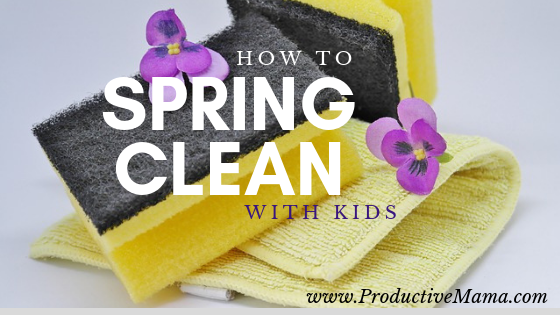 So what might you need to consider when spring cleaning with kids? Clothes and toys – It’s amazing how much STUFF we acquire, especially once we have kids. From here on out your mantra will be reduce, reduce, reduce. 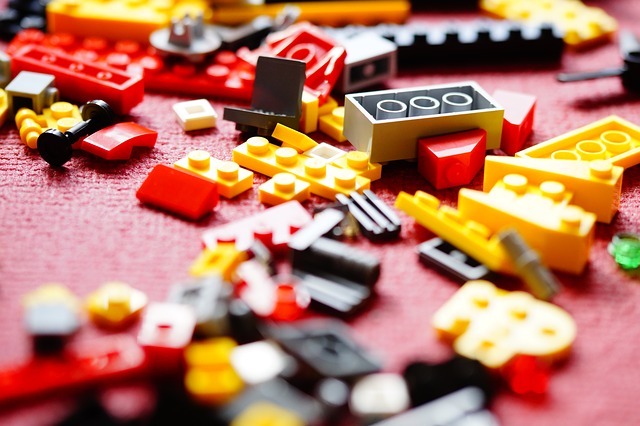 Here’s a study about how having too many toys can be harmful to kids. But think about YOU. Toys can overwhelm PARENTS – they clutter your view and your mind, they take energy to avoid stepping on, caring and maintaining toys no one enjoys takes YOUR mental energy. Have a yard sale – Once my kids realized they could get MONEY for their stuff, they were on board. Yard sales also encourage great skills and lessons: giving, marketing, math, and delayed gratification! Get a fresh start on your approach to general cleaning and chores – Evaluate what’s working for you and what’s not. Is it time to reassign chores to better match your kids’ ages and stages? Is it time to just START having your kids help out more? Is there a task they’re NOT doing well that could use some of your attention? Is it time to introduce the House Fairy? Make Spring Cleaning a part of a Spring Welcoming – open windows, make iced tea, eat fruit, get flowers. Decorate for spring! Plan something special to do or have AFTER the cleaning is done. Trade days with a friend – either trade babysitting days so each get a day of focused cleaning. OR help each other with a project that will go much faster with help. 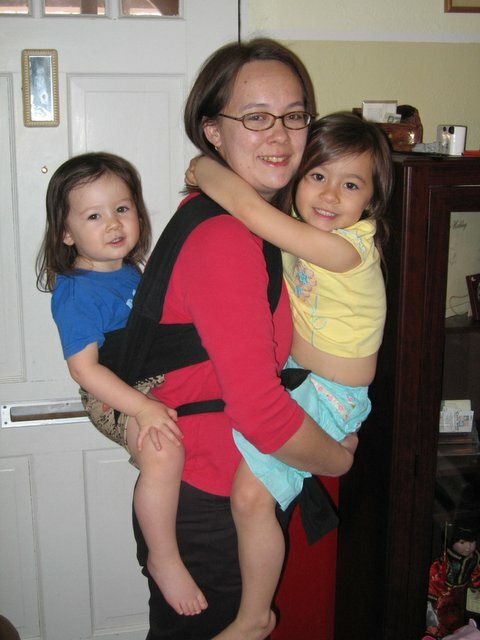 Wear that baby – get out that back carrier and get to work, especially if babysitting isn’t really possible. Be realistic – maybe right now you’re more likely to do a Spring Touch Up than a full cleaning. That’s OK. Prioritize and do what you can. Or skip it altogether. Maybe this year you’ll do a Fall Cleaning!